More Than Words: Transforming Script, Agency and Collective Life in Bali. Grounded in ethnographic and archival research on the Indonesian island of Bali, More Than Words challenges conventional understandings of textuality and writing as they pertain to the religious traditions of Southeast Asia. Through a nuanced study of Balinese script as employed in rites of healing, sorcery, and self-defense, Richard Fox explores the aims and desires embodied in the production and use of palm-leaf manuscripts, amulets, and other inscribed objects. 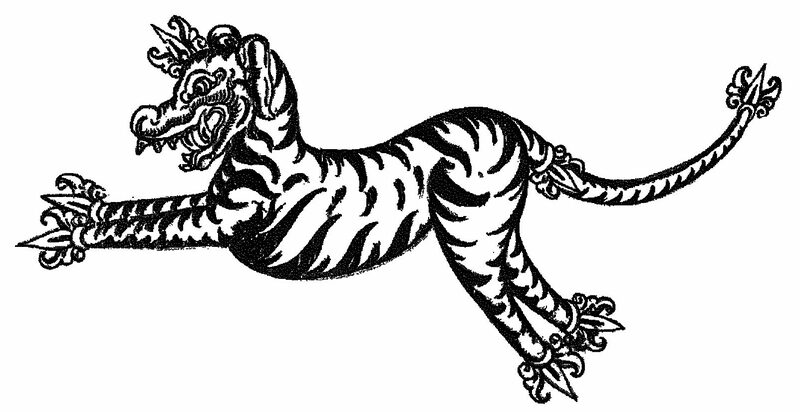 Balinese often attribute both life and independent volition to manuscripts and copperplate inscriptions, presenting them with elaborate offerings. Commonly addressed with personal honorifics, these script-bearing objects may become partners with humans and other sentient beings in relations of exchange and mutual obligation. The question is how such practices of “the living letter” may be related to more recently emergent conceptions of writing—linked to academic philology, reform Hinduism, and local politics—which take Balinese letters to be a symbol of cultural heritage, and a neutral medium for the transmission of textual meaning. More than Words shows how Balinese practices of apotropaic writing—on palm-leaves, amulets, and bodies—challenge these notions, and yet coexist alongside them. Reflecting on this coexistence, Fox develops a theoretical approach to writing centered on the premise that such contradictory sensibilities hold wider significance than previously recognized for the history and practice of religion in Southeast Asia and beyond. The Materiality and Efficacy of Balinese Letters: Situating Scriptural Practices. Volume edited with Annette Hornbacher. Leiden: Brill. 2016. Scholars have long recognized a certain gap between modern western practices of philological interpretation and those of the Javano-Balinese textual tradition. The question is what, if any, impact a recognition of this gap should have on our conception of the text in its relation to the practices that make up day-to-day life. Of what relevance, for example, are the uses to which Balinese script has been put in the context of ceremonial rites? Does it matter that many of the manuscripts on which we work were, and often are, thought to be ‘alive’ by those who have produced and made use of them? What ideas of materiality, power and agency are at work in the production and preservation of palm-leaf manuscripts, inscribed amulets and other script-bearing ritual instruments? In asking these questions we are not simply interested in attending to ‘material’ as an inert substrate for the text and its script—that is, in dealing with such things as palm-leaves, copperplates and the like. Rather the aim of the volume is to examine indigenous ideas of materiality with an eye to their implications for critical scholarship. The chapters collected in the volume were originally presented to an international conference sponsored by the Collaborative Research Initiative on Material Text Cultures and hosted by the University of Heidelberg’s Institut für Ethnologie (Jan 30 to Feb 1, 2014). Critical Reflections on Religion and Media in Contemporary Bali. Scholars of religion have always worked closely with media of one kind or another, from sacred books and archaic languages to cassette-sermons and the Internet. Yet comparatively little attention has been paid to the ways we actually use these and other media in the pursuit of historical inquiry. Drawing on ethnographic and archival research conducted on the Indonesian island of Bali, this book offers a critique of the media-related assumptions underpinning fields as diverse in their subject matter and approach as the history of religions, British cultural studies and Old Javanese philology. Its central contention is that more nuanced attention to problems of media will have serious implications for how we think about the study of religions, past and present. Volume edited with Mark Hobart. New York and London: Routledge. 2008. Entertainment media now comprise one of the world’s largest industries, yet they remain one of the least studied aspects of contemporary mass media. Every day hundreds of millions of people watch television programs that might broadly be described as ‘entertainment’, notably in the rapidly developing countries of Asia. However we still have little idea of what drives the production of Asian entertainment television, how audiences engage with television or how political and social élites understand the impact of television on the massive audiences. While India and China have attracted recent media attention, Indonesia has remained largely unnoticed. As Indonesia has the largest Muslim population in the world, is engaged in rapid modernization and the transition to democracy in significant part through the mass media, serious attention is long overdue. The topics covered include: talent shows, crime and supernatural Reality TV, travel programmes, talent quests and popular music This book, with contributions from recognized experts on Indonesian media, is therefore of particular importance not just for explaining what is going on in Indonesian popular television, but also for establishing a theoretical framework for the study of entertainment media in other societies. The collection is essential for anyone wishing to know about entertainment media, Asian television and contemporary approaches to the study of Asian mass and popular media. Special issue of the Asian Journal of Communication on Indonesian entertainment media. Edited with Mark Hobart. 2006. This special edition about contemporary entertainment media in Indonesia consists of four articles. Each focuses on different popular genres of entertainment on television and their associated commentaries, primarily in the print media. The authors examine different aspects of television production which has burgeoned since the economic crisis of the late 1990s. The topics range from popular Indonesian music programmes, through imported genres like talent quests, real-life crime and supernatural reality TV, to travel programmes which represent Indonesia to Indonesians through foreign eyes. The articles all give a sense of the energy, vitality and openness of mass television broadcasting formats, although these are usually portrayed in the mass communications and media studies’ literature as either effectively determined by multinational corporations or else conventional to the point of sterility. As a collection, these pieces, with their stress on television as complex sets of situated practices, offer new ways of approaching one of Asia’s major media industries.